Smart phone users always look for the best interface on their phone screens. 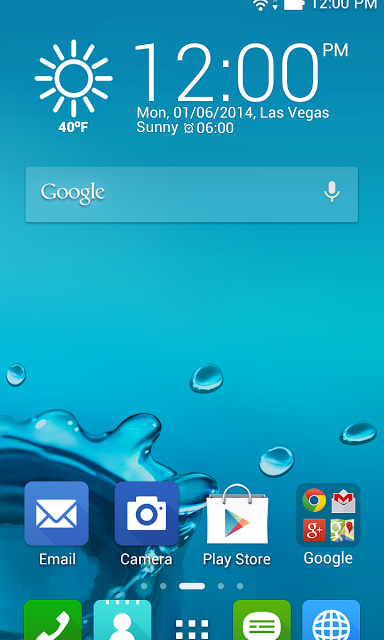 All the android smart phones have default wallpapers and icons which dulls the interface in a short period. For those, who want to give a better interface for their phones, Google filled its play store with lots of launchers using which one can customize the look on their phone screen. Launchers enable you to change the look of the phone’s interface by making you experience the variety of themes, icons and many more. 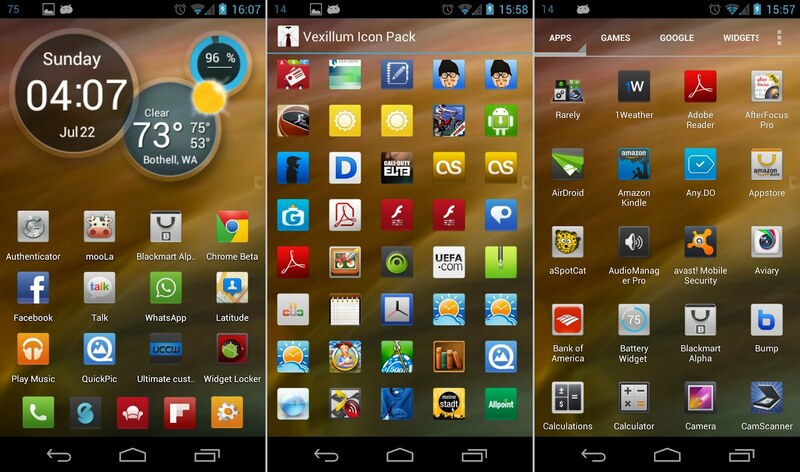 So, now it’s time to choose the best launcher for your android phone. 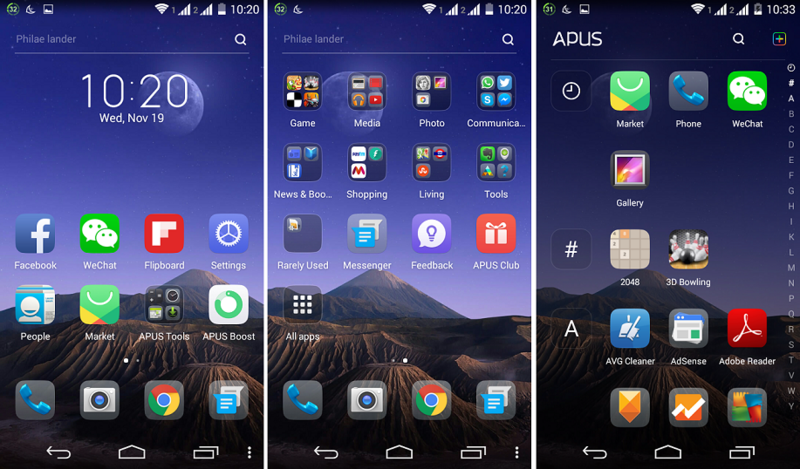 We handpicked few of the best launchers of 2016 for our users and we hope you to try these launchers. Nova Launcher is said to be one of the best customizable launcher for android users. Upon installing this app, users can be able to modify their home screen by changing icons, animations, layouts and many more. Nova Launcher is available for free in the play store and it gives access to many options for its users like color controls, sub grid positioning, scrollable dock, icon themes, infinite scroll etc. 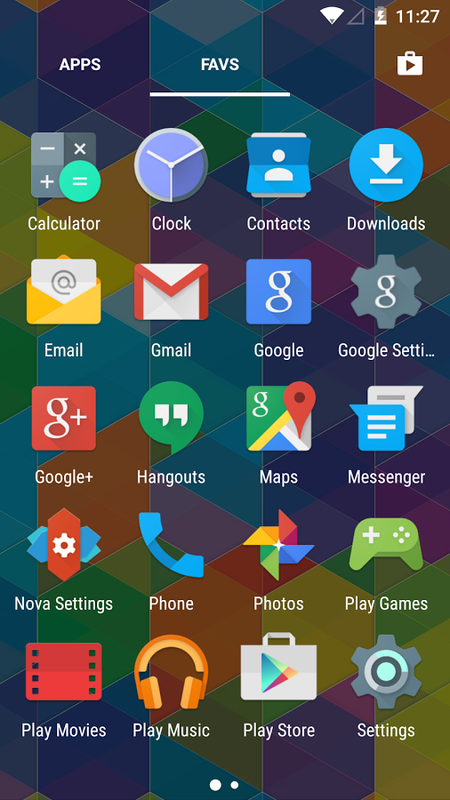 Nova Launcher Prime is an advanced version of the Nova Launcher and is available as a paid app. Along with the above free features, Nova Launcher Prime will unlock extra features like gestures, hiding apps, icon swipes, unread counts, custom drawer groups and additional scroll effects. So, if you want to experience the real launcher effect, then try the free/paid Nova Launcher app. 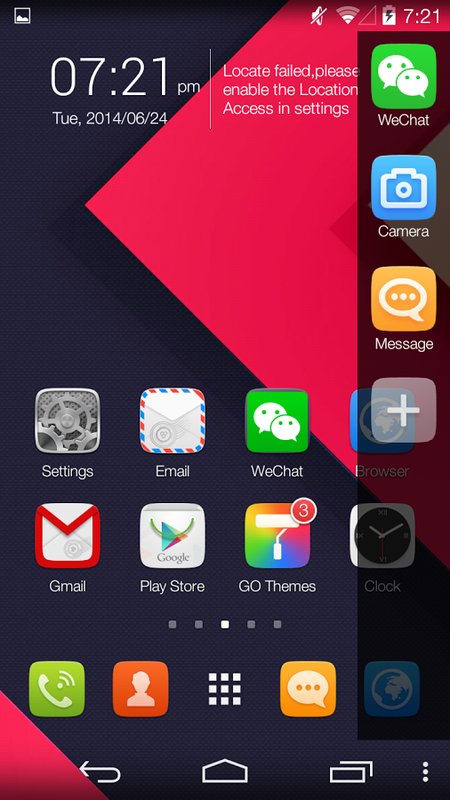 Here comes another user friendly and one of the best launchers which is named as GO Launcher. 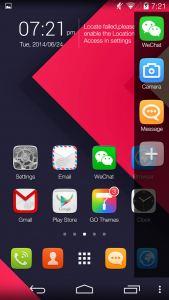 The latest version from GO Launcher is GO Launcher Z2.0 which is released officially and millions of users are enjoying all its features. GO Launcher is a free app and it provides users thousands of mobile themes by the creative designers and it makes you experience the real beauty of the launcher app. Over 20 screen animation effects and 15 app widgets are available in this app which gives a stylish look for the android devices. Along with these, it also has additional features using which android users can experience the best customization on their phones. Another launcher app which is in line of most used apps by the android users is CM Launcher which is speedy, small and safe. Along with the customization, this app increases the performance and safety of your phone by its boost and security features. 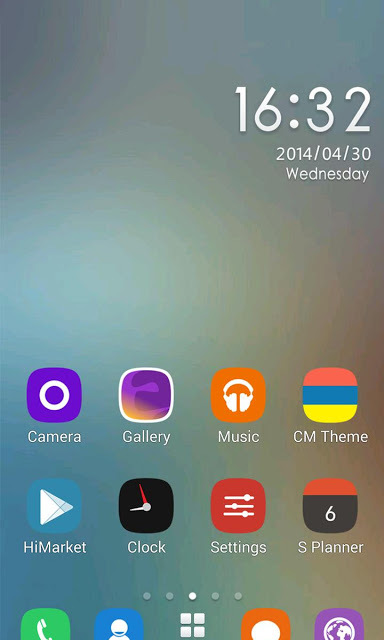 CM Launcher is a free app which gives access to thousands of wallpapers and themes which are categorized like sports, cartoon, nature, love etc. In addition, it also has a unique vocal theme for its users. Overall, this launcher app gives its users the best experience ever. 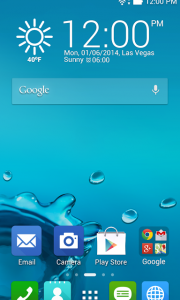 Apex Launcher is another app which gives you the best customization on your android phone screen. It has many features and is available for free in the Google play store. The free version of this app gives you access to the features like fancy transition effects, home screen grid size customization up to 9 home screens, hidden apps, various folder preview styles, advanced theme engines and many more options. Apex Launcher Pro app is the paid version the Apex Launcher app which gives you additional features like dock swipe actions, gesture options, powerful drawer customizations, extra transition effects , flexible theme options and various other advanced options. So, go for a free version if you are satisfied with the limited options or else go with the paid version to explore new advanced features of this app. ZenUI Launcher app gives you access to many customization options using which you can redesign your home screen min much more attractive way. This app features intuitive customization preview screen using which you can experience the better customization. Your apps and folders in the phone can be arranged in the One layer mode and Two layer mode. ZenUI Launcher free app also gives you an AppLock feature using which you can safeguard your personal apps and folders. 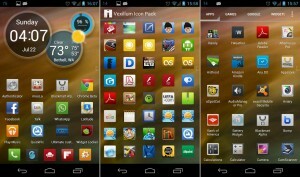 In addition, this app provides many other features which gives you the best launcher experience. 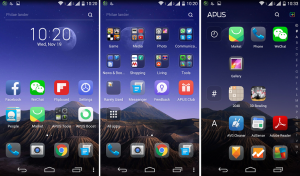 APUS Launcher is one of the best android launcher apps which is small, fast and boost your android device faster. This app provides thousands of attractive wallpapers and themes which makes your screen to look beautiful. APUS has a feature to clean the RAM which in turn boost up your phone faster. This app is a user-friendly and it also features weather report, news, traffic updates etc., while on move. The additional features this app has are APUS discovery, APUS know, free swipe, APUS search, APUS personalization, smart folder and many more. So, install this app now and get experience to the all new customization. Try all this new and latest android launchers now and share your experience with us in the comment section below.